The Institute for Creative Reality (ICR) is an incubator dedicated to testing new and emerging technologies for content creation in immersive media. 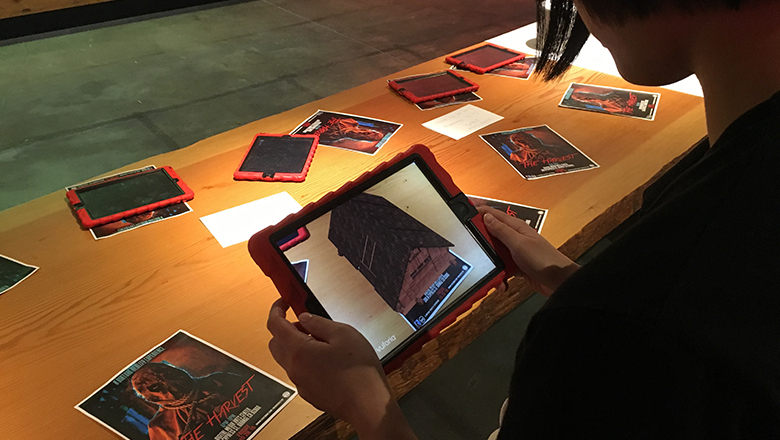 With an initial focus on Virtual and Augmented Reality, the Institute brings together faculty and students from Dodge College of Film and Media Arts, and from across Chapman University, to explore, research, and develop the best strategies and practices for storytelling in this exciting new format. ICR serves as a resource for faculty wishing to augment their current instruction with new technology, and as a resource for students wishing to create and share immersive content. Professors Dan Leonard, Bill Kroyer, Eric Young, Roy Finch and Madeline Warren are its founding members. The ICR at Chapman University is supported by Advanced Micro Devices (AMD), a leading manufacturer of microprocessors and graphics processor. Additional funding used to kick start and sustain the Institute of Creative Reality is provided by proud parent Srini Srinivasan. ICR meetings are open to all interested students and faculty. For meeting dates and times, contact Professor Madeline Warren mwarren@chapman.edu.